How do you relate to your body? How does it relate you to the world? 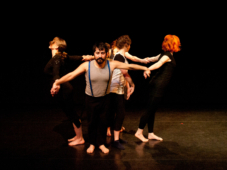 One, Two began with Toby MacNutt in 2012, as a personal quest to understand multi-modal, organic/inorganic hybrid bodies. Since then, the work has expanded to explore many relationships within and between diverse bodies. Close collaboration among the cast of six has resulted in a series of thoughtful solos, intimate small group pieces, and interwoven ensemble work. 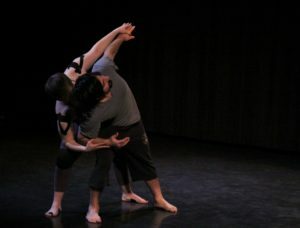 Each piece teases out some distinct element of embodiment and relationship - even in a solo presentation, the body still exists in relationship, both to itself and its environment. How do you know where your body stops and a relationship begins? What does it mean to be able to separate yourself from part of your body - for example crutches or a wheelchair? Can other people join your body as a part of it, too? How do different types of social relationship play out in different bodies? How does the relationship change when people are seen as singular or plural? What unique possibilities exist in your body only? How does your experience of your body shape your experience of your environment and the people in it? How does your environment and its forces shape you? These questions and others like them form the foundation of One, Two. 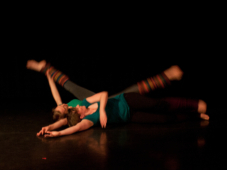 From them we have choreographed a series of studies, utilising varying embodiments, in diverse relationships. The resulting work captures camaraderie, intimacy, flirtation, collaboration, and support; but also tension, drifting, disconnect, and loss. What began as a thought inside one dual body has been transposed and reshaped among six dancers' bodies, presenting a wide spectrum of emotional, embodied, interpersonal experiences. ONE, TWO trailer from Toby MacNutt on Vimeo. One, Two has largely stopped touring; certain pieces remain in repertory. For showing requests or with other questions, contact Toby: twmacnutt@gmail.com. 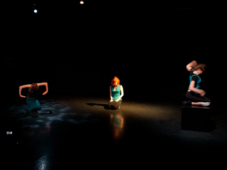 One, Two was developed with support from the Flynn Center Vermont Artists' Space Grant, and with funding from Vermont Arts Council and the National Endowment for the Arts. 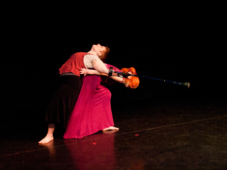 Full-length work-in-progress showing video with Q&A, from FlynnSpace performance, Jan 2013. Q&A is subtitled. Reviewed in the Rutland Herald/Times Argus: we're described as "quietly potent," "a tender odyssey through a variety of relationships". Read the review in full here. 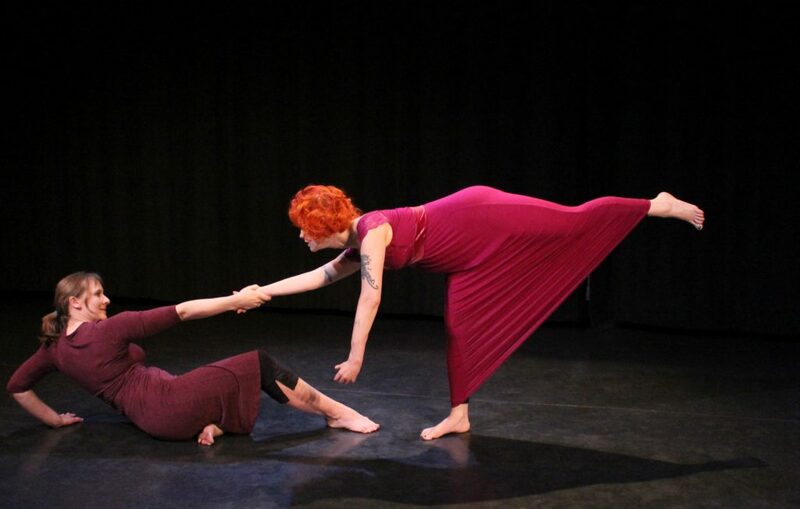 We also performed One, Two or excerpts from it at Spotlight Vermont, with Dancefest Vermont, in A Light to Two Shadows shared showing, in the Puppets In Education and other Burlington showcases, and in Leicester, UK as part of the Let's Dance International Festival. Leslie Freeman is a burlesque & human anomaly artist, most at home in Sideshow, disability arts, and disability justice communities. 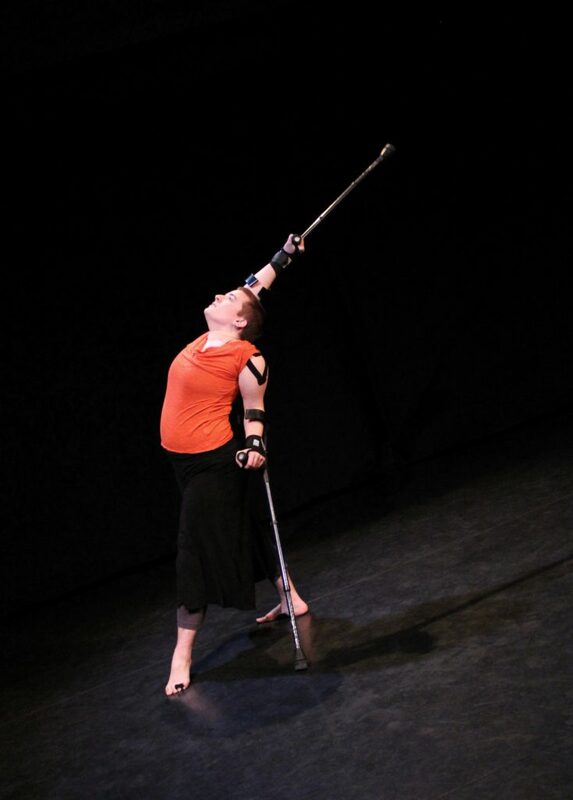 Past projects have included burlesque performances; modeling collaborations with notable photographers, including Syd London and Dorith Mous; and, with hir crip sister Michelle Mantione, modern dance renderings of iconic disability culture texts, recently featured at the New York Disability Pride Celebration and in a showcase at Gibney Dance Space. Leslie also recently presented a solo work in progress, "One: Striptease for Floor Dance", which had begun as a modern dance duet with late performance artist Lisa Bufano, in Tobaron Waxman's live art program, OBJECT-BODY: UNEXPECTEDLY ECSTATIC, at Brooklyn's Studio Maya. 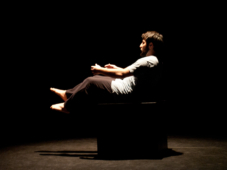 Dylan Friedman is a theatre and dance artist based in Burlington. 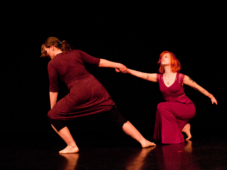 Previous credits include performing in Bryce Dance Company's To You, Around You, About You, Agnes Tables' The Destination and UVM Dance Department's Dancing Uphill. Christine Holt loves to dance, and always has. She completed her dance major at Connecticut College in 1997, and had the pleasure of working with many talented choreographers and dancers while at Conn and in NYC, where she lived until moving to Vermont in 2010. 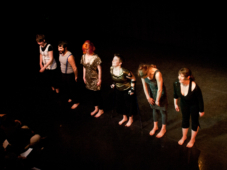 In NYC, Christine and several choreographer friends formed VAROOM Group Dance Collective, co-creating dance works for performance in Manhattan and Brooklyn. Most recently, Christine has been dancing with (and to entertain) her delightful son, Marley, born in September 2013. She's thrilled to be working with Toby and fellow ONE, TWO dancers, and thanks Marley for his cooperation and general good humor while hanging out at rehearsals. 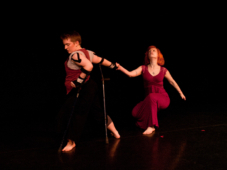 Toby MacNutt is a dis/abled dancer & choreographer who has studied and performed both locally and internationally. Past performances include Heidi Latsky's GIMP Project and Tiffany Rhynard/Big APE's Everyone Can Dance and Subverting Normal projects. 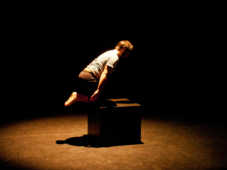 Toby is choreographer, producer, and a performer in One, Two. Ze owes a significant debt of gratitude to Lida Winfield, Tiffany Rhynard, and the entire krip dance community for their support - in addition to thanks to the entire cast & crew, who regularly stepped up beyond their initial role, and without whom there would be nothing. Sasha Ross Becker was born and raised in the hills of Middlesex, Vermont. She is currently living in Burlington, attending UVM as a Fine Arts Major and Theatre Minor. She has been involved in the large Burlington art scene as a fashion designer in Art Hop's S.T.R.U.T. and has previously interned as a graphic designer at Planned Parenthood of Northern New England (PPNNE) and Higher Ground. She has also worked with performance arts, taking dance classes with Contemporary Dance Studio in Montpelier, playing professional Cape Breton fiddle as well as performing Cape Breton step-dancing, and playing professional viola in wedding quartets as well as with Vermont Youth Orchestra (VYO). 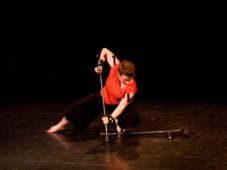 Marly Spieser-Schneider graduated from the University of Michigan in 2009 with a BFA in dance. 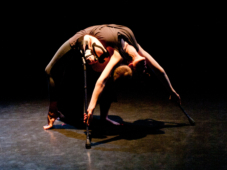 During her time at the University she was lucky enough to work with and be inspired by artists such as Rennie Harris and Laura Dean as well as dance department faculty such as Amy Chavasse, Robin WIlson, and Peter Sparling. After graduating she did some cavorting around the Great Lake state teaching, performing, and producing work. This wandering expanded in range and after a few months of traversing the US of A (dancing all along the way) she finally made her way to the Green Mountain State. Since being here she has had the great pleasure of working with many a talented dance artist. She is ever so grateful that Tiffany Rhynard welcomed her into BigAPE (Action Performance Ensemble) and gave her a one-of-a-kind introduction to the Vermont community. Since then she has been a part of Hannah Dennison's production of Dear Pina and performed in works by Paul Besaw, Clare Byrne, Hanna Satterlee, Toby MacNutt, and others. "Steps", "Gravity": Even the Dew is Porous is the adopted moniker of Tyler Brassard. The project began as a mode of expression for the communication of ineffable emotional experience. His methods have drawn on a variety of practices as well as media. The works for this performance were created with a laptop computer and accompanying software. Find more on bandcamp or soundcloud. The song "Recessional" by Vienna Teng is used with the kind permission of the artist. More about her work is available at her website. "I Am a Man Who Will Fight For Your Honor" by Chris Zabriskie is available under a Creative Commons Attribution License. "Fireworks" by Jahzzar is available under a Creative Commons Attribution/Share Alike license. "Song for Trio" was remixed by Toby from "Song for Bia" by Ethnomite Pux, available under a Creative Commons Attribution/Share Alike license. You can download the remix here. "Feeling Lost" was composed by Toby from a variety of public-domain sound sources and the following Creative Commons licensed sounds: mystifiedthomas "Google Moog Drone", Stephen Briggs "Drone 2", cello down stretched, cinematic sweepy guitars dark drone. You can download the track here. "Percuss" was composed by Toby from a variety of public-domain sound sources and the following Creative Commons licensed sounds: Echo, synth timpani 1, synth timpani 2, timpani rolls, groovecriminals "Percussion Loops", Scott W Albers "Percussion Concussion", techrsr "Percussion Trial 2", Lazlo Kovaks "Percussion Meditation", bells, bell reverb. You can download the track here.